This debut of “Wester Reach” Pinot Noir comprises some of the most famous sites in Russian River Valley, vineyards that we have planted, farmed and harvested over the past twenty years. 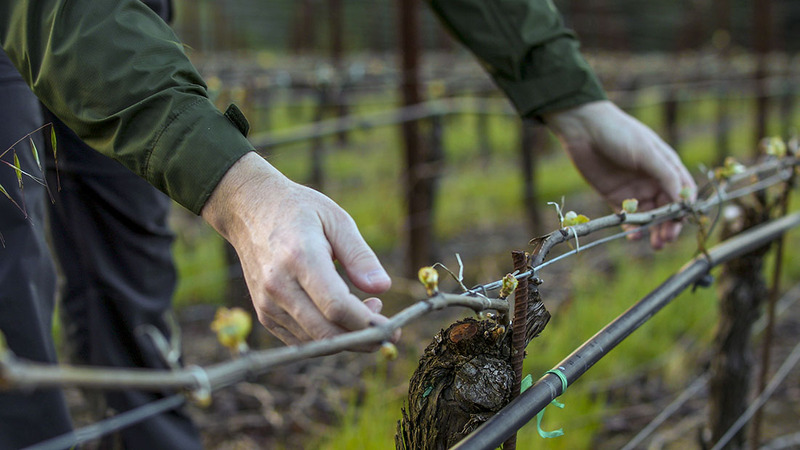 By selecting fruit from a spectrum of vineyards – from the interior plains of the Russian River Valley stretching west to our more coastal sites – we created a wine that is complete, complex and finely detailed. We build this blend in the vineyard, understanding how each site contributes signature fruit character, be it the richness and breadth of our valley floor parcels, the taut precision and structure of our ridgeline parcels, or the focus and intensity of our coastal parcels. From the Laguna Ridge district, the iconic Ritchie Vineyard provides succulent dark fruit and broad texture. On the deeper clay soils of the Santa Rosa Plains, the Occidental Road vineyard contributes density, fruit extract and weight. At a higher elevation, on a ridgetop overlooking the Green Valley, our Dutton-Upp Road site offers soaring red and black fruit aromatics and hillside structure while the Widdoes Vineyard brings cherry fruit intensity and an underbrush complexity. 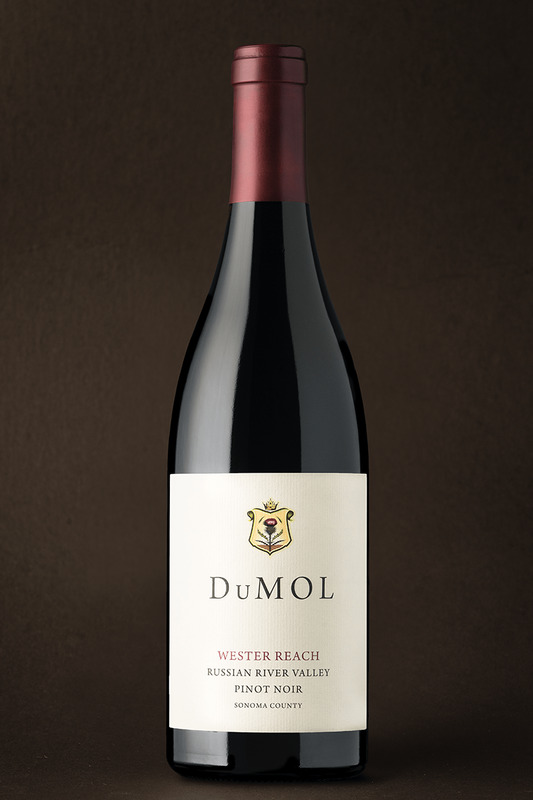 Further westward, our high-density DuMOL Estate unites this complex range with dark fruit intensity, herbal freshness and earthy intricacy. Complex, layered aromas – red cherry, black pepper, hibiscus and orange peel – are wonderfully bright and fresh while cranberry and pomegranate, wild thyme and underbrush lend fine detail. The broad fruit entry possesses great lift – juicy and vibrant, then immediately deep and layered. The mid-palate is succulent and round with cherry liqueur and rhubarb flavors which extend on fresh acidity through the long, black peppercorn-infused finish. Drink between 2018 and 2026.
barrel fermented and aged 12 months in 40% new french oak followed by three months settling in tank.